Coinbase, an online trading platform for Bitcoin, based in the USA, is going one step further with wallet security. Every user is now able to get many API keys instead of just one. 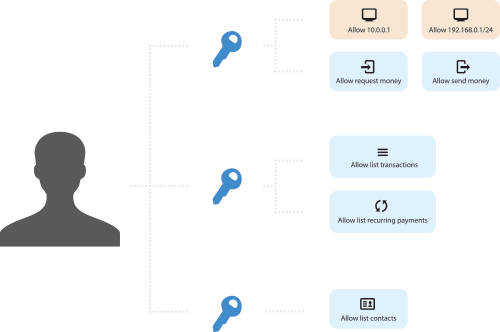 The API keys have a special security feature which in order to protect the user; the user has to sign during transactions and requests. In addition, with the multiple API keys, the user is now able to set granular permissions, or control and access your data, and can whitelist IPs separately for each key. An API is not a user interface, it is a software-to-software interface in which different applications talk to one another without the knowledge or intervention from users. Initially, Coinbase offered users only one API key that would enable users to make different requests to the Coinbase API. This fact meant that you had to be super cautious with your API key since you only had one. Coinbase introducing multiple API keys is great because each key has different permissions. This means that you can now assign different roles to your keys. With this, the user has more control over their online wallet. This is known as HMAC Authentication. More information can be found in the Coinbase API docs. Coinbase recommends that every user move onto the new API keys + Secret. If you still haven’t gotten the picture, Coinbase further says that they will be stopping any support for the old keys in August 2014. There is more security with every key. This is because when you create or edit the keys, you have the new option of specifying which job or permission the key will allow. You are also now able to whitelist certain IP addresses to ensure everything goes smoothly. There is more security with each step. 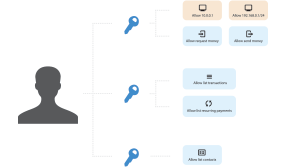 Coinbase has made it so that when you “create a new API key, edit an existing API key, or view an API key” you are asked for your password or the two-step authentication. In addition, the user can see when each API key was created and also when the last update was made to it. With all of this, Coinbase hopes to become a safe and reliable platform for Bitcoin users to store their coins.